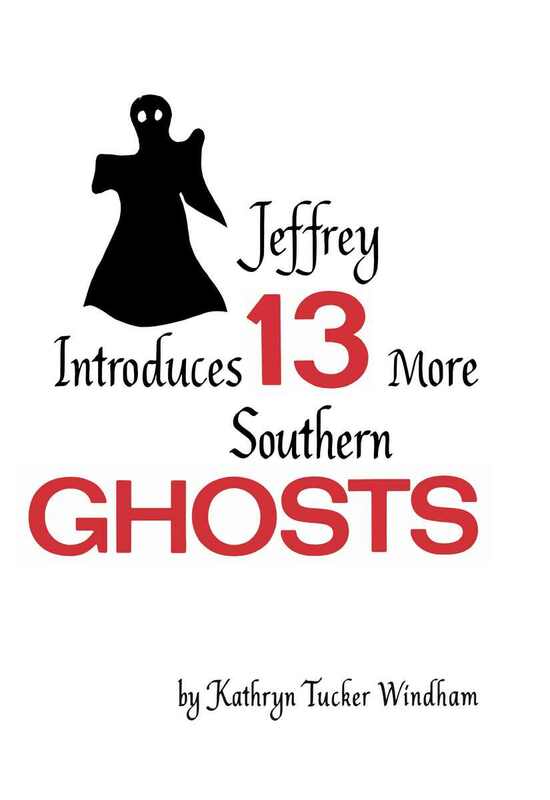 JEFFREY INTRODUCES 13 MORE SOUTHERN GHOSTS follows the enormous success of 13 Alabama Ghosts and Jeffrey to also become one of the South's most beloved books. Whether you believe in ghosts or not, these stories delight children and adults. This title has been selected as a Booksmith Timeless Classic, meaning it is among the best of the best for the last several decades. We will ship it free anywhere in the United States. You may view every Booksmith Timeless Classic by clicking https://www.alabamabooksmith.com/booksmith-timeless-classics. THIS COPY (shown below) is the Commemorative Edition published in January, 2015 by the University Press of Alabama. 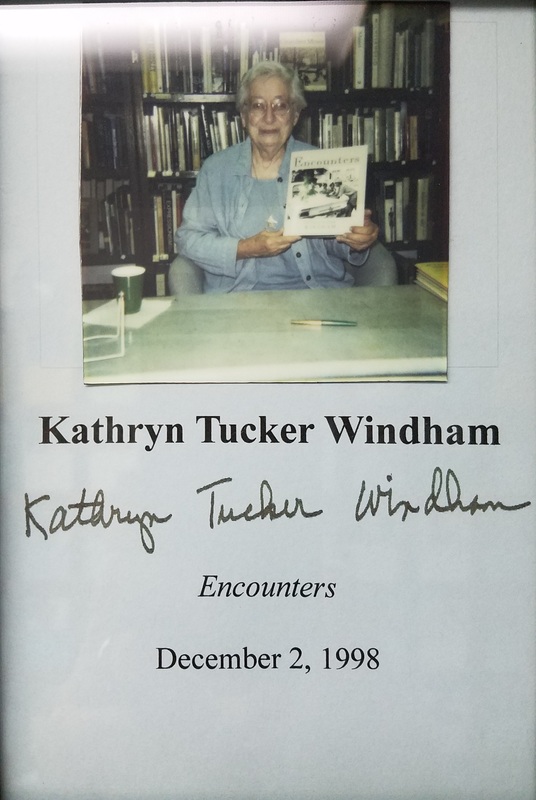 It has a new afterword by Katherine Tucker Windham's children, Dilcy Windham Hilley and Ben Windham. Otherwise it replicates the original hardback that first came out in 1969. 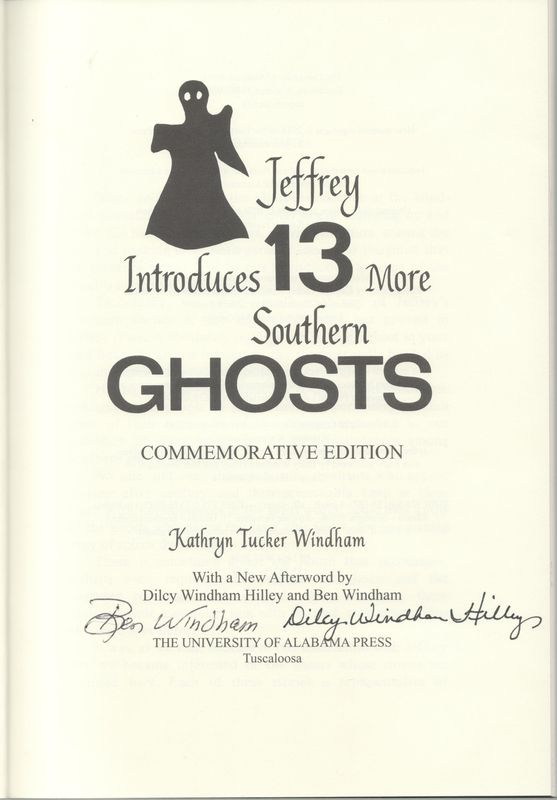 Signed by Dilcy Windham Hilley and Ben Windham at the store, it was unopened except for signing.